To bring you and your child the best experience, we have our Flagship classes, conducted by our own coaches.We currently have the Flagship Classes available only at Yishun and Sengkang Swimming Complex. In our Flagship Class, we make sure your child is well taken care of. We are aware that a swimming pool is a totally new environment for some kids and they are not yet comfortable. On top of them, they have to be left alone without being beside their parents. With that in mind, we make sure that the child can learn at their own pace and enjoy themselves while too! In our classes, we group students according to their skill level. Most students start without any swimming experience, while some are already comfortable with submerging in water. All students will still start from the beginner class, and will be moved to a suitable class when they improve. Students start with learning breaststroke (we call it frog style), and they will take a while before getting the hang out of it. We have many learning aids to help students learn comfortably. Once they start swimming on their own without stopping, our coach will assess if they are ready for deep pool training and start their SwimSafer journey. The SwimSafer program is a very powerful guideline to introduce swimming to kids. SwimSafer is progressive and allows most kids to learn comfortably while enjoying their lessons. It is important to note that the first certificate our student will attain is the SwimSafer Stage 3. When students come to the deep pool, they will train on their confidence and stamina. At the same time, they will be training on lie comfortably on their back, and start learning survival backstroke. In order to start training for their SwimSafer Stage 3, student must be able to swim 25m survival backstroke and 25m frog style without stopping. After achieving SwimSafer Stage 3, students will go on for their SwimSafer 4 (Bronze), 5 (Silver) and 6 (Gold). 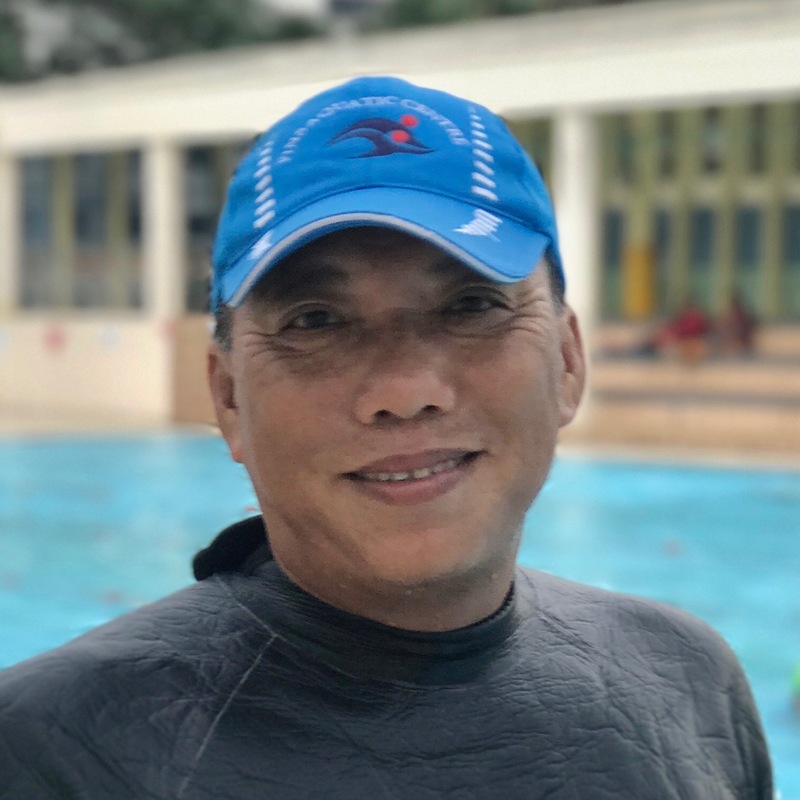 Under Singapore Swimming Academy, they are definitely strong swimmers with the ability to sprint through the whole pool by the time a student achieve SwimSafer Gold. This award is what all students are training for, to get an official timing for their swimming at a set distance. During their swimming lessons, most students will start training for their timing at SwimSafer Silver on a weekly basis. By the time they get to SwimSafer Gold, swimming 50m below the timing is more than achievable. Most students are enthusiastic to break their own personal record. In Singapore Swimming Academy, once the student pass SwimSafer Gold, they will change to a red swimming cap. Getting their Red Cap is a mark of a true swimmer. How often is the SwimSafer test conducted in the Flagship class? For our Flagship class, we hold our test every Quarter. The dates generally fall on the 5th Saturday or Sunday of the month. The average progress for each level is nine months. Students are constantly being assessed on their skill sets. Once your child is ready for a certain level, the coach will continue teaching your child the next level skills. Student progress is not solely based on certificates/awards achieved by the student. What age can my child join the Flagship classes? For our flagship group class, the minimum age to join is 6 years old (K2) for now. Let us know if your child is below 6 years old but more than 110cm tall. The coach has to assess if he/she can join. How long will my child learn to swim in the Flagship class? Each child has different exceptional abilities and confidence level in water. In our flagship class, it takes an average of 10 months for a 6 year old (K2) child to be able to do basic swimming at the deep pool unaided. This is based on a weekly lesson where the child does not skip practice. Older children may take shorter time learning to swim, but that depends on each individual student. Group classes taught by our in-house coaches. Only our flagship class offers a full structured programme ranging from beginner learn-to-swim classes to advanced lifesaving classes. Flagship class are only available at Yishun and Sengkang currently. Why should we choose the Flagship class? We have a proprietary system that allows us to assist instructors in organising the class and tracking the progress of our students. With this system, your fee can be paid online, so we do not have to handle cash at the pool. With this system and structured training programme in place, we are able to take a shorter time to train every student, compared to the past. My daughter Meha was coached by Freddie at Anchorvale swimming complex. She has successfully completed her gold in swim safers. My son Neev is currently being coached by Lawrence. Both father son duo are extremely good coaches and are very patient in teaching. They both give individual attention to kids. Happy that they coach my kids. Aden like to play water and also got phobia of water, so I decide to sign up swimming lesson for him at sengkang swimming complex by coach Lawrence. After 4 lessson aden manage to swim and also overcome phobia of water. Now He is very enjoying all swimming lesson and always looking forward for next lesson. The lessons were effective and professionally carried out. My son is already swimming around confidently after the intial basic lessons. He is always eager and looking forward to the weekly session.